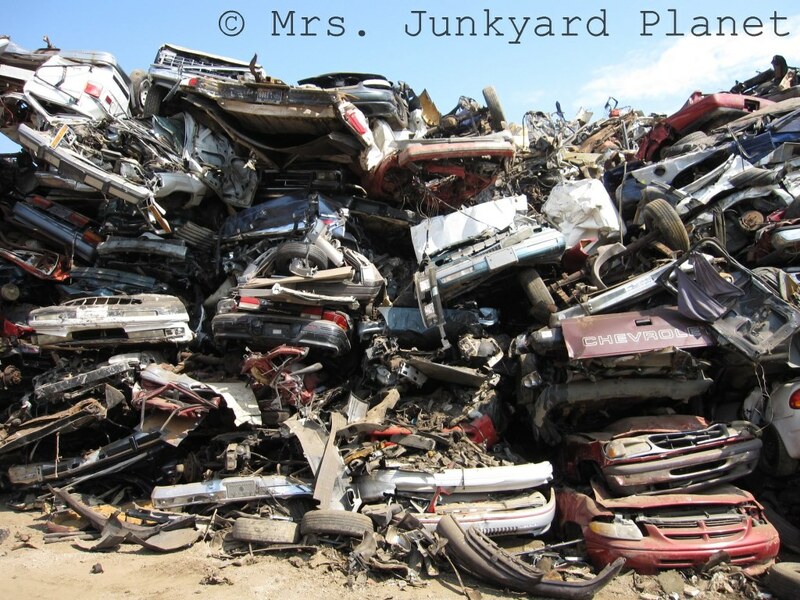 Scenes from a Junkyard Planet: What Ultimately Happens to that New Car Smell. These cars are a small percentage of the roughly 11 million cars that Americans decided they didn’t want, anymore, in 2011. And that was a down year, in terms of unloading old cars, mostly due to the recession (when people are more likely to repair than buy new). In a strong economy, when Americans are more likely to buy cars, they’ll get rid of as many as 14 million old sets of wheels per year. Yet, despite this unbelievable volume, most Americans – and most reporters – don’t give more than a second thought to what happens to all that metal, plastic, oil, rubber and other materials when it all hits the junkyard. But here’s the thing: by weight, all of those American automobiles are the most recycled products in the United States today. How? The answer solved one of the most intractable environmental problems facing twentieth-century North America (and, later, the world), and this week’s scenes will provide some insights into the process. This entry was posted in Environment, Junkyard Planet, Scrap by Adam. Bookmark the permalink.